There’s a persistent rumbling of how Chicago transplants are to blame for just about every negative trend in Eastern Iowa. Perhaps you’ve heard it? The lack of affordable housing in our communities, as well as the strain on local social services organizations, according to the rumbles, is because people from Chicago are moving here and jumping to the front of the line. Incidents of violence are skyrocketing, they say, because Chicago transplants are bringing gang activity, guns and illicit drugs with them. Even if violence and mayhem isn’t the intent, there’s a cultural divide between small city Iowa and big city Illinois that’s impossible to cross. And, perhaps worst of all, the rumbles single out people from Chicago’s south side as instigators of neighborhood corruption, which is too often a way of identifying those being discussed as black. While such sentiments are more prevalent on social media, or within the confines of hushed conversations, last week they were expressed quite bluntly as part of an Iowa City public forum on poverty. The forum was jointly sponsored by the Public Policy Center’s Social and Education Policy Research Program and the Big Ideas course, Equality, Opportunity and Public Policy in America. Roughly 150 people were in attendance, most college-aged and presumably students. A man in his early 20s spoke about midway through the forum, first identifying himself as being from Cedar Rapids and then asking the panel of government and local nonprofit leaders for their thoughts on increased crime, which he believed stemmed from impoverished Chicago transplants to the area. “In Cedar Rapids, we have our subsidized housing program, and one of the issues we’ve been facing with that is a higher crime rate,” he said. “Cedar Rapids’ crime rate has been skyrocketing over the past couple of years, and subsidized housing has increased it because we’ve had a lot of people from the southern side or other parts of the Chicago, Illinois area — maybe from up in Minneapolis as well — come to Iowa. These are people who grew up in a certain type of environment, and behave in a certain way. And not all of them have been very beneficial to us. Because demand for housing assistance often exceeds available resources, long waiting periods are common. In addition, local public housing authorities may close waiting lists when more families have applied for assistance than can be helped in the near future. This is precisely the case for the Cedar Rapids Housing Services Office, which administers the federally-funded Section 8 Housing Choice Voucher Program. The most recent opening for the Cedar Rapids program was a year ago, on Nov. 15, 2016. At that time the city accepted 1,321 applications and once again closed its waiting list. Of those applications, according to Sara Buck, who manages the city’s housing programs, 95 percent were families within the local jurisdiction — Linn and Benton counties. 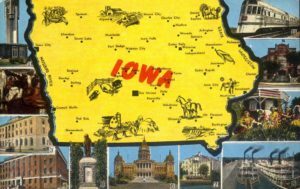 Residents of other Iowa communities were 2 percent of applications, and the remaining 3 percent came from outside of Iowa. It’s important to note that the Cedar Rapids public housing authority (as well as Iowa City and many other communities) have instituted local preferences. That is, everyone can apply, but local families are assisted first. Buck also explains that all applicants go through screening before being admitted to the housing program. Past criminal convictions, along with many other factors, determine whether or not applicants are allowed in the program. And, once admitted, participants receive annual screenings, and may be terminated from the program if they are found to be no longer eligible. Because Section 8 is a federal program, vouchers are portable, meaning families in good standing can apply to move to another jurisdiction. Exactly what “good standing” means depends on the originating jurisdiction. For instance, some may require the family to have lived within their boundaries for 12 or more months. All jurisdictions require moving families to fully complete existing leases. All incoming families must undergo the same screening at the receiving housing authority that anyone on the waiting list would need to complete. The big catch to this federally-funded program is that it results in a voucher for housing assistance, which doesn’t always translate into a home. It’s up to the family to locate a landlord who accepts Section 8 vouchers — not an easy task in Cedar Rapids because the city allows discrimination based on the source of a prospective tenant’s income — and must then locate a residence that meets local and federal safety standards. And, frankly, all of this matters only if we believe that most, if not all, transplants from Chicago or other cities are in need of subsidized housing. Otherwise, we still live in America, where people are generally able to move where their heart or their jobs take them. This brings us to, I hope, a less loaded question: Are transplants from larger cities, or Chicago specifically, mostly to blame for incidents of violence in Cedar Rapids? Police Chief Wayne Jerman cautions that perspective and balance is needed when discussing crime in this way. Police department data show that those most often arrested in Cedar Rapids were born in this state. The next highest percentage — 16 percent, or about 1,200 out of 7,700 arrests — were people born in Illinois. Because of the way law enforcement gathers this data, there’s no way of knowing how long these individuals have been in Iowa, just that they were born somewhere within the state of Illinois. Still, Jerman believes there is likely some negative influence from Chicago on this area. Major metropolitan areas, he writes, typically have some type of impact on the broader region. “People from Minneapolis, Kansas City, St. Louis, Detroit and Chicago have been arrested in Cedar Rapids. People relocate from large cities and some may bring inappropriate behavior or lifestyle choices to Cedar Rapids,” he says. Also, Cedar Rapids is not immune to the national problem of opioids and heroin. Jerman insists, and I agree, that it would be naive to not acknowledge some influence from Chicago as well as other large Midwestern cities, especially in terms of drug trafficking. The young man who asked the panelists for comments sat quietly — as did the rest of the audience — while the group pointed out the flaws within his premise. “Subsidized housing does not cause crime. There are a lot of low-income rentals that have great tenants and residents,” said Tracy Hightshoe, interim neighborhood and development services director in Iowa City, noting that Section 8 vouchers can be denied for entire properties if owners or landlords fail to provide adequate health and safety standards, which can include persistent criminal activity. She noted that a larger percentage of black people than as represented in the community as a whole use shelter and other emergency services, due in large part to discrimination and “oppression.” People from Chicago and other large cities are coming to Iowa City, Cedar Rapids and other Iowa communities, she said, usually because someone already living here has told them to come so they also can have an opportunity at a better and more safe life. The only way communities can move beyond harmful stereotypes is through open, difficult discussions. So, let’s give kudos to the young man who expressed his views so publicly, who allowed others to speak directly to his worldview — and let’s not let the opportunity he provided go to waste. This column by Lynda Waddington originally published in The Gazette on Nov. 12, 2017.